Having buoyancy control when you’re underwater is of utmost importance. You wouldn’t want a situation where you’re just floating aimlessly, right? What if you’re not at your desired position at the pre-arranged time and you can’t be picked up by the boat and crew? For this reason, having the Best Scuba BCD will not only help you float with ease but comfortably too. If you’re unsure which one to buy we’ve put together a few recommendations to aid in your selection. 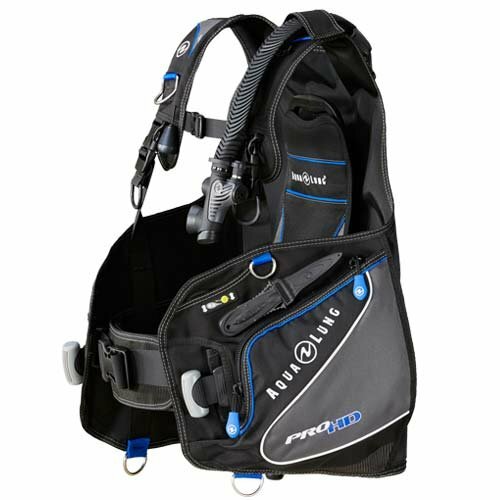 What Is Our Best Scuba BCD? Before we delve deeper let’s first get the technicalities out of the way! BCD stands for buoyancy control device. What does buoyancy mean? Buoyancy is the ability or tendency of something to float in water, in this case you. The following parts make up a BCD. Dump valves: These let you expel air without using the deflator. The more valves the BCD comes with the better. Inflator/deflator mechanism: This system allows you to inflate or deflate the BCD on a push of the button. Air bladders/pockets: This is where the pockets of air go to or draw from when the BCD is inflated or deflated. Adjustable band: It secures the scuba tank and is usually located at the back of the BCD. Pockets: Storage for your equipment. D rings: For attaching clips. Now that we’ve simplified things a bit let’s continue with our discussion. Style: Do you prefer a jacket, back inflation or a hybrid setup? What’s more comfortable to you? Let’s look at these styles in depth. Jacket: Remember that feeling you get when you’re wearing your favorite winter jacket? This style gives you the same tight feel. This BCD will inflate at the front and back and engulf your body. If you’re new to diving, this could be your ideal pick because it creates good buoyancy for all diving conditions and environments. You can also enjoy easier control. Back inflation: Also commonly referred to as wings, this style inflates only the back potion of your BCD. If comfort is your biggest concern, you’ll prefer this style because it feels like you’re actually not wearing a BCD. However, we wouldn’t recommend it if you’re a newbie diver because it often puts you in a face down position when floating. Hybrid: This is a mix of the jacket and hybrid style. It inflates ¾ at the back and ¼ in front. If you prefer being in an upright position this might work for you. Water Temperature: Do you plan on going for a cold or warm water dive? Knowing the temperature of the water you’re diving into will affect the type of BCD you should buy. Your BCD will be affected by what is known as lift capacity. This is basically the measurement of weight your BCD can hold when fully inflated on the surface. Diving in cold water means you’ll obviously be wearing a thicker wetsuit. This means you’ll need a BCD with a higher lift capacity to counter the higher buoyancy. Ultimately, it allows you to navigate through the water with ease. What you must know is you should learn to manage your weight during your dive. You should make sure you’re correctly weighted and not overweight. For more information on the weight calculation method please visit www.scubadiving.com. Size: In this instance size equates to comfort. And when considering comfort, you’ve got to talk about adjustability. If you plan on buying online, make sure you select a BCD with an adjustable strap so as to customize for a snug fit. Weight Integration: Some BCD’s come with weight integrations. This means you don’t necessarily have to buy a weight belt. However, it’s still advisable to get a weight belt nonetheless to help regulate your weight underwater. But if you’re big on diving light and not keen on bruised hips from carrying the weight belt, then you can forfeit it. What’s your main concern? Are you concerned about how the BCD functions under water or are you more concerned with whether it’ll fit in your travel suitcase? Answering these questions will help you select the most appropriate BCD for your needs. Let’s have a look at a couple. Will you be diving in a dry or thick wetsuit? If you’re diving in a wetsuit, opt for a BCD that provides enough lift and has integrated weight systems to keep you diving with ease. Though it might be the heaviest options, at least you’ll have lots of space for storage. If you like traveling everywhere with your diving gear then travel BCDs are your best bet because they’re very light. Bear in mind though these BCDs don’t allow for as much lift capacity. Better still why not enjoy the best of both worlds with this dual-purpose gear? It’s both compact but also provides enough lifting capacity. After securing your purchase, you need to know how to take good care of it. You want it to last, don’t you? This is one of our top recommendations because we love that it’s made of denier nylon Cordura which makes it more resistant to erosion caused by long-term friction. 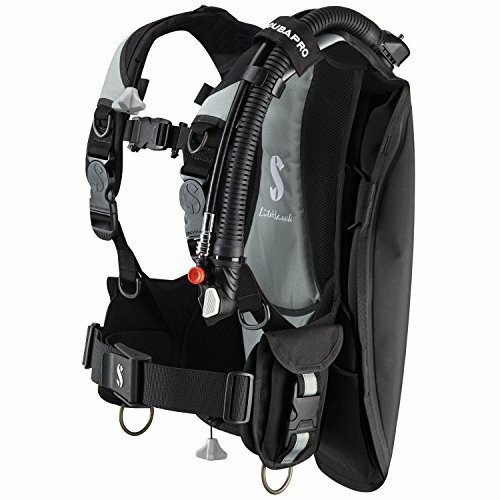 What we like about this BCD is it comes with a waist strap which is independent of the air bladder. Another excellent feature is the inflator can easily be rinsed to remove sand and other debris. The back plate system is made of ultra-durable thermoplastic making it very compact. It also comes with a rubber damper which is great because it helps grip the tank and a second tank can be added. If comfort is your biggest concern, you’ll probably like that it comes with a nylon locator strap which ensures proper tank positioning every time. 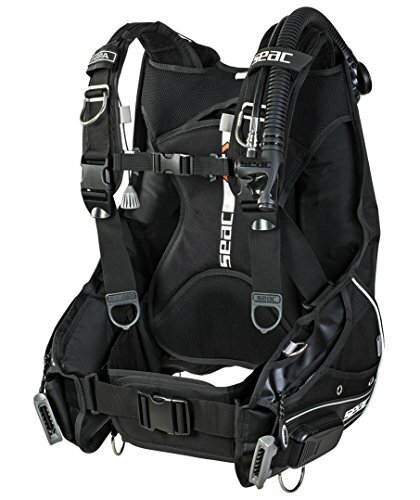 This BCD also has three exhaust valves for buoyancy adjustment in any position. If you like to dive light you might like this light weight BCD. It’s designed for both warm and cold temperature water diving without necessarily needing a twin tank. 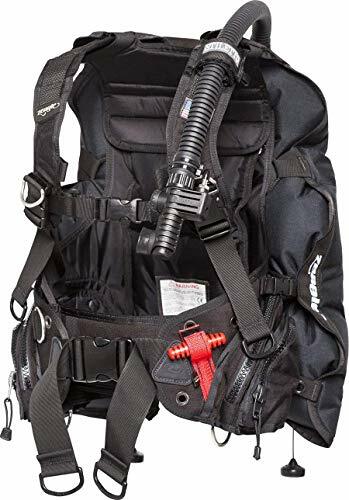 This BCD has sufficient lift and weight capacity for most average-sized divers to use in their local environments, which is a definite plus. If you like traveling light, you might prefer this lightweight BCD. It comes with a 35-lb. lift capacity and a low-profile retracting air bladder. Another great feature is it has two zippered utility pockets, which is great for storing small equipment like your dive light. It comes with two tank straps which is convenient. If convenience is your preference you’ll like that you can use it for both your local and travel diving adventures. If convenience is your priority you might like this particular BCD. What we like about this BCD is it’s a wrap-around-style jacket with durable materials. This is great because you’re guaranteed safety and comfort while enjoying your scuba diving. Another useful feature is the portable waist band which you can adjust to suit your size. It comes with large pockets which allow you access from either the top or bottom, making it super convenient. It comes with a positioning strap that allows you to set the pro HD at your preferred height. It features 5 stainless steel D-rings which is convenient for attaching all your accessories. Another great feature is the right shoulder pull dump which is easy to locate and use. Along with the lower rear dump, these are all useful if you prefer to be horizontal or to keep your head down underwater. Considering gifting you wife or girlfriend a BCD? This might be ideal because it’s specifically designed for women. 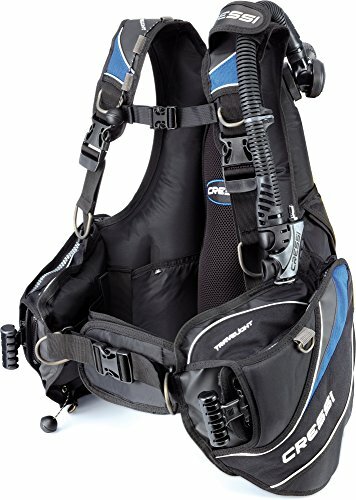 This BCD comes with adjustable shoulder straps with swiveling buckles. This is a very useful feature were mobility is concerned. Another great feature is the integrated weight system and releasable trim weights for improved weight distribution and balance. It also comes with a 3 dump valve deflation system for ease of air dumping. And don’t forget the dual zippered pockets with a rollout pocket. You’ll also love the padded back pad which is designed for extra comfort. This BCD has a soft neoprene neck roll as well as balanced power inflator. All of this is designed to make your diving experience as comfortable and enjoyable as possible. The back flotation technology positions the air bladder in the back. This awesome feature ensures exceptional freedom of movement around the chest and shoulders. Tip: Choose one size larger than normal because they fit a bit tight. This is one of our recommendations because it’s durably constructed. If a long-lasting BCD is your main preference, you might like this one. A good feature it comes with is the unique hybrid rear inflation bladder which is excellent because it enables air to “shift.” This means it provides you with the maximum amount of lift possible, and keeps you properly orientated on or below the surface. It also comes with padded back plate features and an extended lumbar support which is great for transferring tank weight from shoulders onto your hips. Another useful feature is the 3D air cell with wings that wrap around the tank cylinder. This ultimately also improves weight distribution. This BCD also comes with an integrated releasable weight system which is great for increased safety. 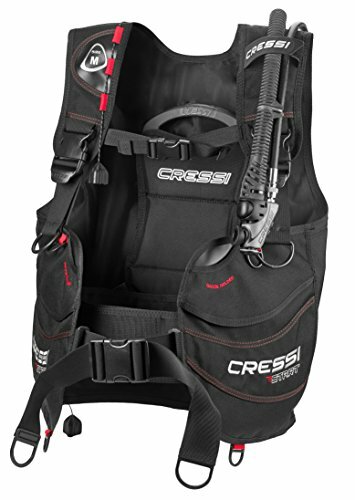 If you’re looking for a travel BCD, you might like this one. It has a dry weight of only 6 lbs. The back is amply padded for a comfortable fit. Another useful feature are the non-detachable pockets in which you can store 20 lbs. in the front and 10 lbs. in the back pockets. So if you’re the type of diver who likes to carry a lot of items under water like me you might prefer this BCD. This however doesn’t mean you’ll carry a heavy device because it comes with D-rings which are made of lightweight material. Another great feature is the air cell inflates away from the body thereby avoiding constricting the diver. We like that it comes with an anti-sand design with a smaller inflation nozzle. Not forgetting the push button with a wide opening to prevent the BCD from becoming blocked by grains. After taking all these factors into consideration there can only be one winner and the Aqua Lung Pro Integrated BCD is our personal favorite, mainly because we’re all about convenience. We also like the wrap-around jacket style which offers not only convenience but safety and comfort, not forgetting the portable waistband which is easy to adjust. Another one of its excellent features are the roomy pockets since we like carrying around a lot of items during our dives. It comes with all the above while not compromising on the performance. It keeps you in an upright position if you prefer that, and above all, it’s made of quality materials which means durability. And durability means we won’t have to worry about buying another BCD soon! Flying after Scuba Diving – Should You Fly After Diving?